A few weeks before Christmas this year, I was scrolling instagram and saw that Danica and Drew had gotten engaged! They were in the year above me in highschool so through the years I've seen them around in school and on social media - always snowboarding, going to hockey games, always looking super stylish and in love (Danica wore bright white sneakers to this shoot... I was in awe, I don't think I could even walk out of the house without staining something like that!). 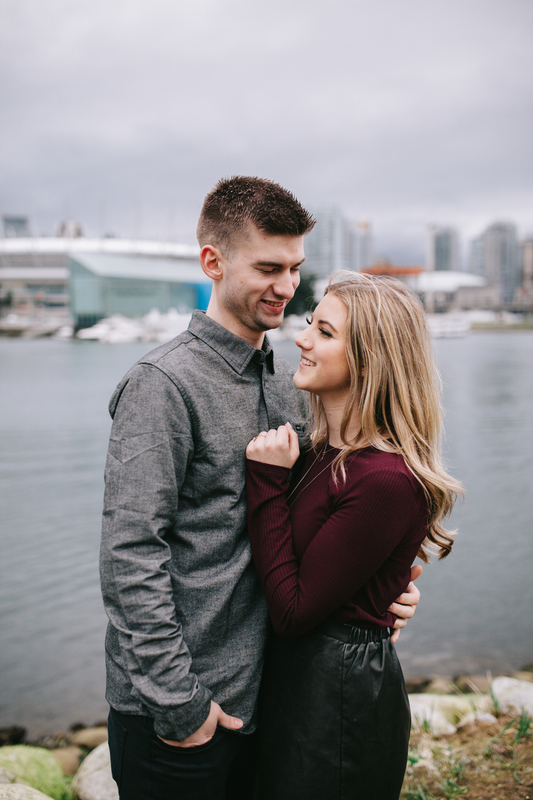 With the launch of my website coming up, I realized that I needed to update my portfolio a bit with fresh content that reflects my photography these days, so I messaged Danica asking if Drew and herself would like to model for me! Luckily for me, they said yes, and we set a day. 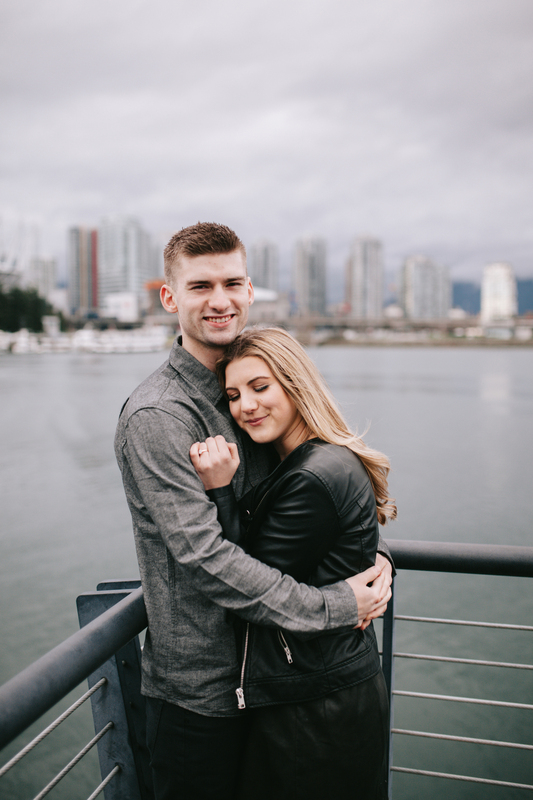 The whole week leading up to the shoot it was looking like thunderstorms and rain - but Danica and Drew were up for it rain or shine (so thankful!!). The day of, as I was heading to our location the rain ceased and we were so lucky to just have overcast skies instead of a torrential downpour! 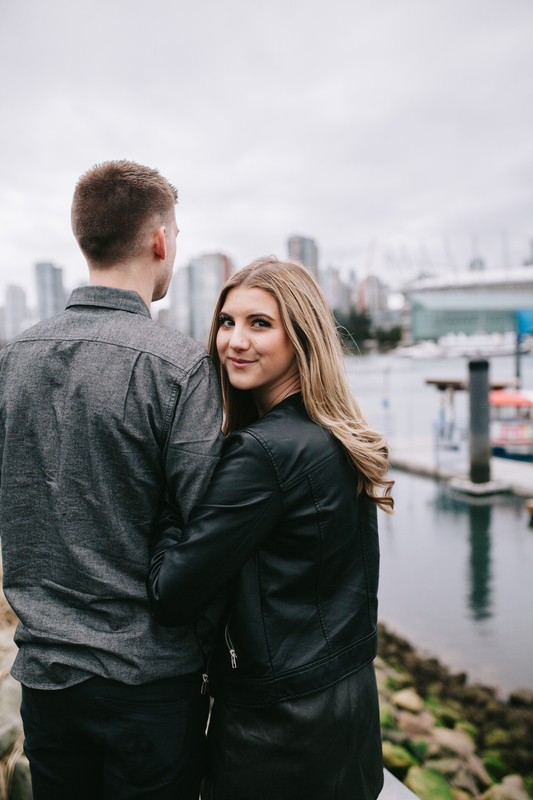 We walked along the seawall near the Olympic Village taking photos and it was so special to learn more about them as a couple and their wedding plans. 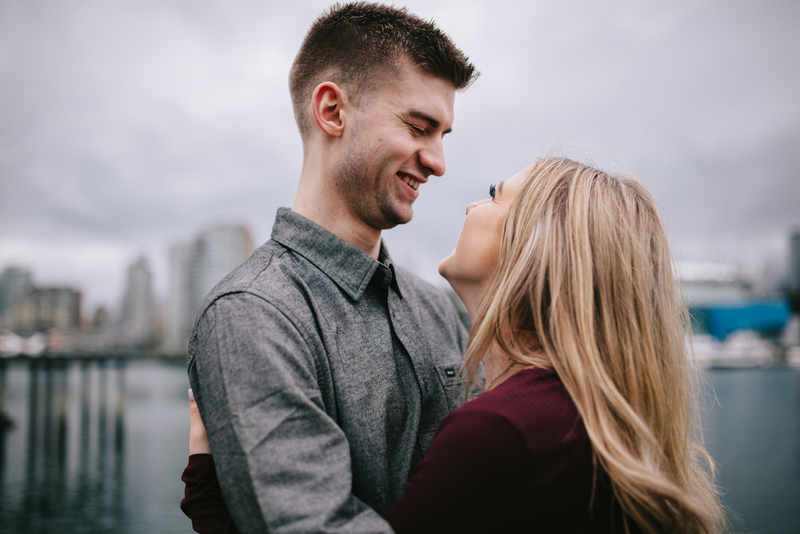 These two were full of giggles and laughs and absolutely rocked our shoot. 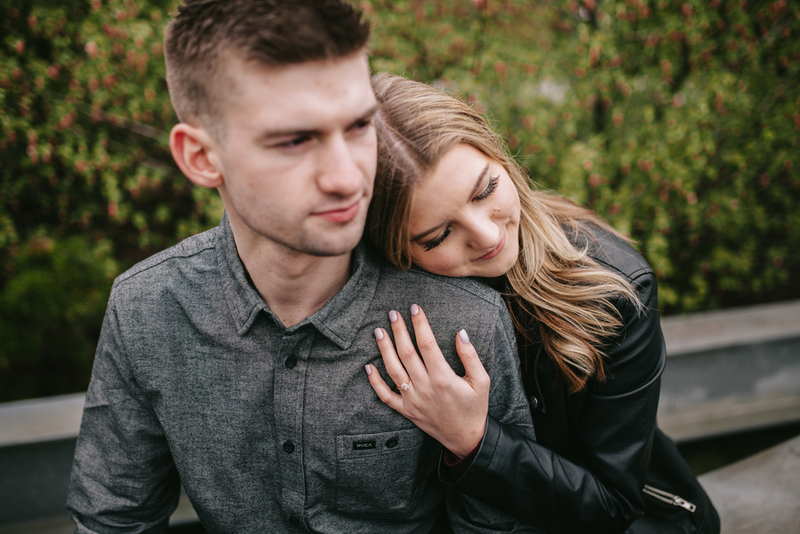 I couldn't have asked for better models - Danica and Drew have such sweet hearts and I'm so grateful that they came out to model for me. Thank you so much you two, and I wish you the utmost congratulations and best in your marriage!